Well-known throughout her community for her passion and drive, Mary Ann Wise Wiggins has dedicated her life to helping others. She started her journey as a teacher at U.S. Army Schools in Nuremberg, Germany, from 1964 to 1966, and as a teacher within the Mineral Wells Independent School District from 1967 to 1970. During that time, Ms. Wise Wiggins supplemented her career with a position as a bookkeeper with the Wise Department Store and found she really enjoyed it. She proceeded to transition more into the business world, serving as the owner and manager of Mary Ann’s Furniture and Hardware from 1977 to 1997 and opening a tax preparation business in 1992. In 1994, Ms. Wise Wiggins returned to her roots as a teacher at Springville Middle School, and in 1996, she became involved with the Red River Parish Alternative School. There, she helped troubled youth overcome obstacles in the juvenile justice system. Although she retired from academia in 2016, she continues to help others with their taxes. While Ms. 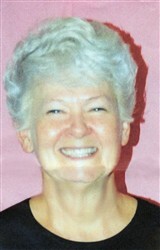 Wise Wiggins was teaching, she became very involved with the communities she served. As a member of the Louisiana Association of Educators, she completed stints as the vice chairman of the instruction and professional development committee and as the chairman of the legislative committee. She also joined the Louisiana Juvenile Detention Teachers Association as the vice president, the Hall Summit United Methodist Church as the chairman of pastor relations and the treasurer of the board of directors, and the United Way of Northwest Louisiana as the chairman. Further, Ms. Wise Wiggins ran as a candidate for the Louisiana House of Representatives, where she carried 27 percent of the vote. To prepare for her endeavors, Ms. Wise Wiggins earned a Master of Arts in principalship and supervision from Louisiana Tech University in 2005 and a Bachelor of Arts from Northwestern State University in 1964. She furthered her academic prowess by completing postgraduate work at Weatherford College, North Texas State University, and Northwestern State University, and by becoming a curriculum-certified teacher for second to 11th grade in Louisiana and a licensed insurance agent, real estate agent, and private pilot. Ms. Wise Wiggins’ hard work and dedication have not gone unnoticed. In 1965, she earned the German-American Hospitality Award from the Organization of German-American Women in Nuremberg, Germany. Between 1997 and 2011, she was featured in numerous volumes of Who’s Who in America, Who’s Who of American Women, Who’s Who in the World, Who’s Who in American Education, and Who’s Who in Finance and Industry. When Ms. Wise Wiggins has free time, she enjoys gardening, swimming, horseback riding, landscaping, and spending time with her family. She also likes to fly her brother’s plane and write her “Wise Old Owl” column in the “Coushatta Citizen,” which she has been doing since 2004.